July 4th Performance Took Place at Moonlight Rollerway in Los Angeles. Director, multi-dimensional artist and technomancer, J.J. Stratford has built an astronomical portfolio of work exhibited, broadcast, and screened internationally and includes MoCA, Getty Museum, The Hammer Museum, The Palais De Tokyo Paris, and many more. 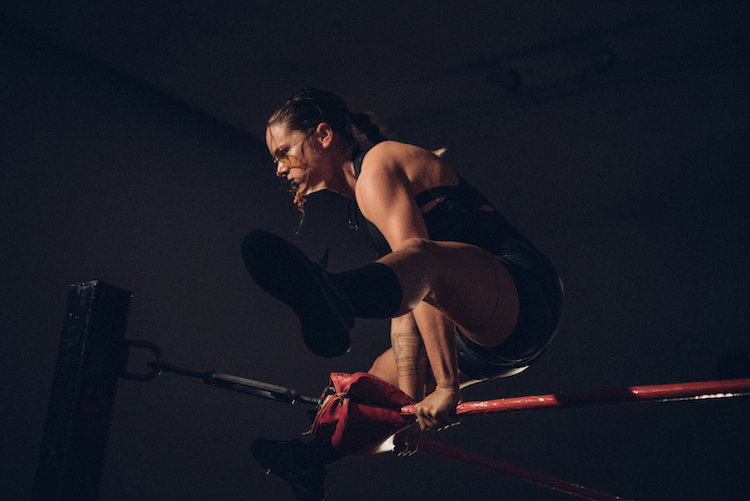 Stratford established Telefantasy Studios in 2004, a mutant movie studio that produces cult television programs, art installations, live shows and music videos, with the 'Future Ladies Of Wrestling,' also known as FLOW, being her latest enterprise. Future Ladies of Wrestling is a no-holds-barred multimedia extravaganza created by Stratford in which the wildest interspecies wrestlers battle for the title of Ultimate Multiversal Warrior. On July 4th, FLOW invaded the Moonlight Rollerway in Los Angeles for a patriotic afternoon of wrestle mania antics as part of 'Dirty Looks: On Location,' a month-long film and performance festival activating LA's queer history curated by Women's Center for Creative Work. Although there have only been a handful of FLOW shows, including at Rupaul's Drag Con in Los Angeles this past year, people love its subversive vibe. "I knew the shows would be fun, but I never expected the crowd participation to be so high level," Stratford shares. "At our second show, more people showed up than could fit inside the venue. Some fans were outside crying because they couldn't get in." 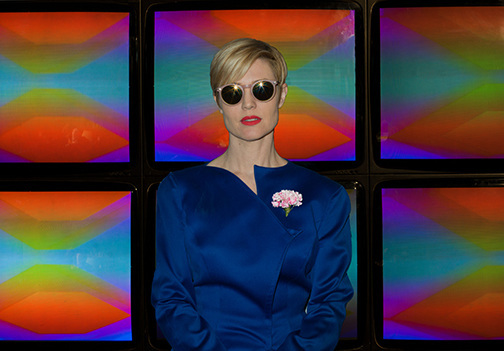 Jennifer Juniper Stratford is a Director and Video Artist seeking otherworldly representation through the use of outmoded communication technologies to create new and exciting visual realms. In 2004, Stratford created Telefantasy Studios to create mind-melting mutant video and television experiences. Scavenging the ruins of the post-digital-apocalypse, J.J. hunts down analog broadcast equipment cast off from Hollywood studios. This treasured hardware is then redeployed to create innovative and original new programming, often in alliance with some of the multiverse’s brightest stars to create cult classic public access programs, highly sought-after sim-sense chips, video experiments and music videos which invite you to turn on, jack in, and rock out. J.J.'s work has been exhibited, broadcast, and screened internationally at MoCA Geffen Contemporary,The Getty, Cinemarfa, CPH:DOX, The Museum of the Moving Image, Cinefamily, Storefront for Art & Architecture, BAM Cinématek, and on public access stations across the United States, as well as various exhibitions in Cyberspace. Cult create inaugural films featuring Francesca Gavin with social influencers for the BMW Art Guide by Independent Collectors. 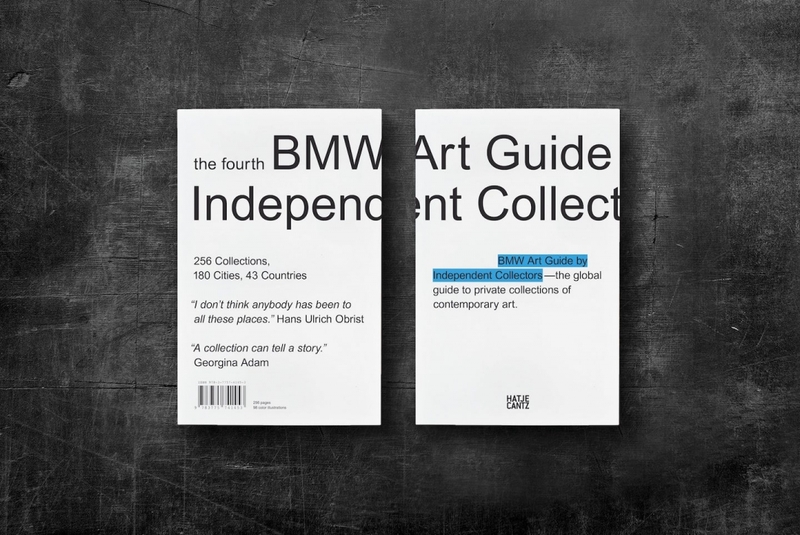 BMW Art Guide by Independent Collectors launch the first in a series of filmed components of the guide. Conceived and produced by Cult and directed by Robin Fraser, the films feature renowned curator and editor Francesca Gavin and social media influencers, including Pari Eshan (AKA Pari Dust) and Andrea Denver. The films document Francesca with each of the influencers as they gain access to privately owned art collections by Patrizia Sandretto Re Rebaudengo, in Italy and Sherry and Joel Mallin in the US. The films are an extension of the BMW Art Guide by Independent Collectors. Established in 2012, the guide created by the brand to make privately owned contemporary art collections accessible to the general public. This resulted in a pocket-sized publication introducing collections from around the globe, presented in interesting and diverse settings. The guide is the first of its kind and features texts by distinguished authors, famous and unknown artists and a wealth of information on art. Until now, the guide was solely a printed publication. In the first film of the series, we see Pari and Francesca drive through Turin, Italy whilst discussing their shared interests in art, to visit the Sandretto Re Rebaudengo Foundation. Here, the pair gain access to an art show hosted by influential Italian collector Patrizia Sandretto Re Rebaudengo. Pari and Francesca engross themselves in the collections, sharing knowledge, observations and insights. The show includes works collected by curators including Mark Rappolt and Liam Gillick, all themed on responses to films directed in the late 1970’s. The film shows Pari and Francesca exchange perspectives on artwork by Barbra Kruger and Hans-Peter Feldmann as they study the pieces. In the second instalment, Francesca is joined by Italian model and social influencer Andrea Denver. The pair dash around Upstate New York in a BMW i8 to explore the grounds of the Mallin Collection & Buckhorn Sculpture Park. Located in the picturesque town of Pound Ridge, New York, Sherry and Joel Mallin have dedicated their lives to building their very own magical sculpture garden. The extraordinary haven for contemporary art features over seventy outdoor sculptures, gardens, woodlands, a lake and an orchard including artists such as Sol LeWitt, Joel Shapiro, Anish Kapoor and Dan Graham. In addition to the collection in the Mallins’ private residence and the Buckhorn Sculpture Park, the episode also explores the Art Barn, a 930-square-meter facility built by the couple in 2001 that highlights a rotation of artworks. As well as creating the film concept and shooting the series for BMW, branded entertainment agency and creative production studio, Cult, casted both architecture, fashion and art blogger, Pari Eshan, model and social influencer Andrea Denver and curator and writer, Francesca Gavin, to host the series. Constantin Bjerke, Founder and Executive Producer at Cult comments: “From the uniqueness of the collections to the collectors themselves, these are fascinating stories which we feel we are in the best position to tell – as we are an agency specialising in bringing a fresh editorial perspective to working with brands. Making private art collections more accessible to the public is precisely the sort of work where we can offer our expertise, given our network in the contemporary art realm and our experience in finding common ground between a brand and its audience." The films are available to view on the BMW Art Guide by Independent Collectors platform, https://bmw-art-guide.com and BMW i’s social channels. More films in the series are planned to launch across the Autumn of 2018. Crane.tv is a publisher of culture and lifestyle films. Cult is an award-winning production company and branded entertainment agency, providing creative, production and amplification solutions to leading agencies and revered brands around the globe. Harnessing a decade of publication experience and insight, we specialise in producing audience-first content and experiences that bridge the gap be-tween what brands want to say and what consumers are willing to engage with. Our editorial approach to video production utilises an extensive network of contributors, influencers and talent to yield organic shareable content. Whether it’s an episodic show for TV or short clips for social media or an immersive experience, we’ve done it, and would love to do it for you too. 2017 saw Cult win five Cannes Lions at their festival debut for their work on Burger King’s ‘Scariest BK’ and seven awards at the One Show - two bronze pencils and three merits for the 'Scariest BK’ and two merits for Mars Petcare - Pedigree's 'A Vote For Good'. 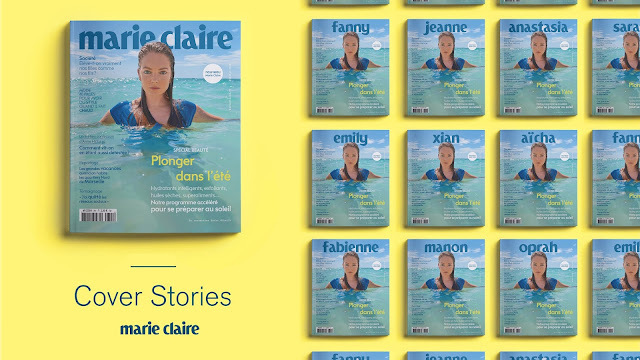 For the launch of the new edition of Marie Claire, the monthly magazine deploys an activation named Cover Stories. Through this device, the female title offers her cover to all women, so that their voice mingles with that of Marie Claire. This activation is based on a strong concept: Cover Stories. Marie Claire has always been with and for women, discovering and sharing their stories. They are the ones inspiring Marie Claire, so to emphasize this tie with them, the magazine has designed a device that puts every woman's name on its cover, in the place of the brand’s. It started with sending their customized version of the magazine to 50 of the most inspiring French women, who discovered their own first names on the front page. In parallel, all women were invited to participate and to personalize their own cover on a dedicated website, Une Pour Toutes and this operation was also displayed on billboards across France. In the end, women from 91 countries over the world took part in it and created thousands of covers. In today'’s society, women across the world are having to play many different roles to accommodate their lifestyles; professional, mother, wife, friend, innovator, activist and often all of the above. Each part of their persona takes them on a different journey every day, with an even greater need for products that pertain to them all. That'’s why, for the first time ever, TUMI – innovative travel lifestyle brand -- is launching a female-driven global campaign to coincide with the launch of its newest women'’s collections. 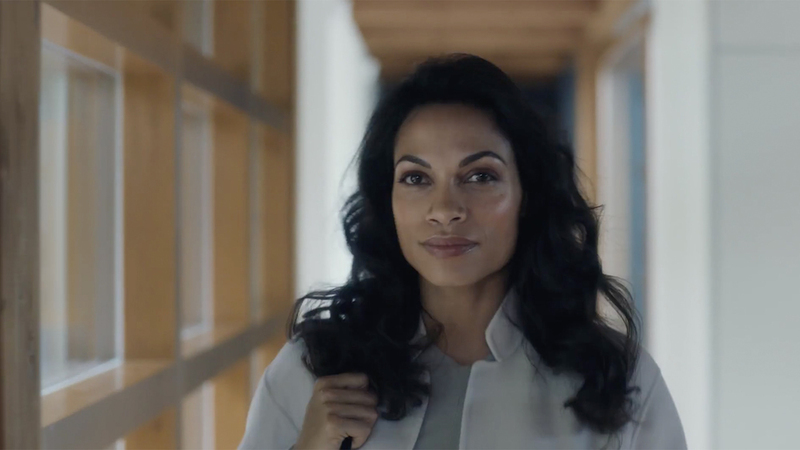 Led by EP+Co, the new digital campaign is anchored around content created by legendary director Allen Coulter and featuring renowned actress and activist Rosario Dawson. Including a :60, :30 and four :15 spots, edited by Cut+Run'’s Gary Knight, the videos follow one woman’'s journey while highlighting the many different personas she takes on within her life. Showcasing TUMI’s range of unique women’s product, the contents celebrate how every woman - no matter what path she takes - can shift appearance, location, and motivation everyday, breaking barriers and never having to settle in just one role. The integrated campaign also features a product website, designed by EP+Co, in addition to social and digital content which will begin rolling out July 16.